"VMware vCenter really a full feature console to manage VMware environment"
Over the years VMware have being integrated a lot of information to the VMware vCenter. I like the fact that it is a easy to use console and easy to understand. All the management of your virtual environment is in there. Also with the vCenter plugins you can centralize the management of storage (SAN) and other compute and network devices. You have a single pane of glass to administer the resources. I dislike the web client that is base on flash. But now with the new HTML5 web console, you can easily manage it from everywhere and you don't depend on flash that is vulnerable and obsolete. I think that about it. I cannot think of anything else I dislike. I really recommend to the customers to have a design for the vCenter server services layout in advanced to your needs. I mean get help on sizing and think about the growing of the virtual environment. It is helpful to use the professional services from VMware so you can have a setup that is well configure and with a validated design. The management of all our virtual environment and also the storage and server management right on the console. It is easy to use for the administration needs. Now we can easily provision the virtual machines and the san storage in one place. The same VMware admin can do the provision of storage without the storage admin involve. "My experience using vCenter Sever"
- I liked the fact that I can manage more than 1000 machines in this virtual environment without lowering the user experience. - The other good thing about the software is the simplicity in deployment. Migration from a Windows vCenter Server to the Linux enviroment is just one step. - It is possible to more than 10 vCenter together and manage up to 30,000 machines in remote locations. The limitation I found with the software is the fact that it is mostly dedicated to Linux based platforms - almost 90%. vCenter is worth trying. If your company is looking to make the most of your server, the investing in vCenter is a good solution for this. vCenter is best for operating multiple virtual machines which can run concurrently to cater for your needs. I used vCenter in the my previous company to merge our core ERP systems. The VMware also helped us provide more disk space to the server. "Robust and mature software for the virtualized Data Center"
The speed of updates is good for this environment. The support and knowledge base are good when running into issues with online troubleshooting guides. The push for virtual appliance and removal of windows server versions in the future. I would recommend this product simply for the amazing levels it can take your infrastructure too. We are not even using all the features and its still a great software that accomplishes much. Vcenter Server allows direct access in a centralized way to the virtual Vsphere ESX environments. We are able to manage and fix our machines quickly. Also works as a backup proxy for Veeam. "Virtual Server Management at its best"
vCenter Server is a great tool that allows for great ease in the management of vSphere virtual servers. Easy to setup and accessible from any browser. vCenter has evolved the interface many times and has made it seem overly simplified in the years, which in turn can make the interface overly complicated when changes are continually made. vCenter is an easy to use software that allows great ease for virtual machine use. Highly recommended over the competition. vCenter serves us the ability to manage our entire infrastructure, which gives us the chance to maintain our entire virtual server presence in one place. vCenter provides a ton of features to manage your hypervisors and virtual machines. The product itself is very stable and has some unique features which are proprietary to VMware. Features like storage/host vMotion, distributed virtual switch and distributed resource scheduler are very helpful. Just like all other products out there, there is a learning curve. The support contracts are expensive. It is difficult to migrate to another solution in the future. The Web dashboard lags a lot sometimes and the CLI is difficult to learn and navigate. While VMware vCenter is one of the best out there with large number of useful features, remember that it can turn out to be huge operational expense. Virtual machine lifecycle management. Additional bundled tools like vRealize Orchestrator can solve some orchestration needs. "A very efficient way to manage vSphere virtual infrastructure." A centralized management system, very easy to use, to manage the whole virtual infrastructure, and to perform configuration, monitoring, and trouble shooting just in a one shop platform. Not really, I haven't seen any disadvantage so far. We're using Vcenter server to manage our production cloud virtual infrastructure, which has improve the efficiency for our jobs and make it easy to new colleague to get started quickly. "Very useful for VMware environment"
Ability to manage multiple ESX hosts and VM's from a single console. vMotion is also very useful in the event of a host failure. Nothing to dislike. vCenter works very well. vCenter is highly recommended if you are using multiple ESX hosts. If an ESX host ever goes down for whatever reason, the VM's on that host will automatically migrate to another host in the same cluster. What I like about this software is the centralized visibility, it is simple, efficient and excellent for cloud serving. The price is a bit steep if you decide to go with the Standard version, but if you're a small business, you could just purchase the Foundation. 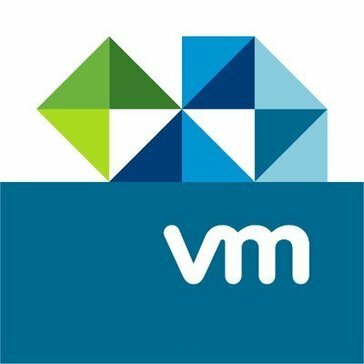 VM Ware is an industry standard for Virtual computing and vCenter is they way to administer it. there is nothing to dislike about this program. "Easy to use, simple to setup "
* We monitor all vCenter Server reviews to prevent fraudulent reviews and keep review quality high. We do not post reviews by company employees or direct competitors. Validated reviews require the user to submit a screenshot of the product containing their user ID, in order to verify a user is an actual user of the product. Hi there! Are you looking to implement a solution like vCenter Server?